Choose from our delicious menu and receive a pizza with a glass of house wine OR a pot of beer for $20! We offer a premium event space for both corporate and group bookings, cocktail parties and finger food standing area. Catering from 10 to 220 dining guests, select from our extensive menu or contact us to discuss your event needs. Set back to take in the glorious views of the Waterfront our bar is packed full. We have an extensive range of wines and beverages including some wonderful vini italiani and cocktails. Welcome to Renzo’s Bar in the heart of Melbourne’s Docklands – the first cafe/bar to open in the precinct. Renzo’s Bar is a stylish and modern multipurpose venue with a vibrant atmosphere. Renzo’s includes a restaurant, cafe, bar and function space, located right on the city’s beautiful waterfront. 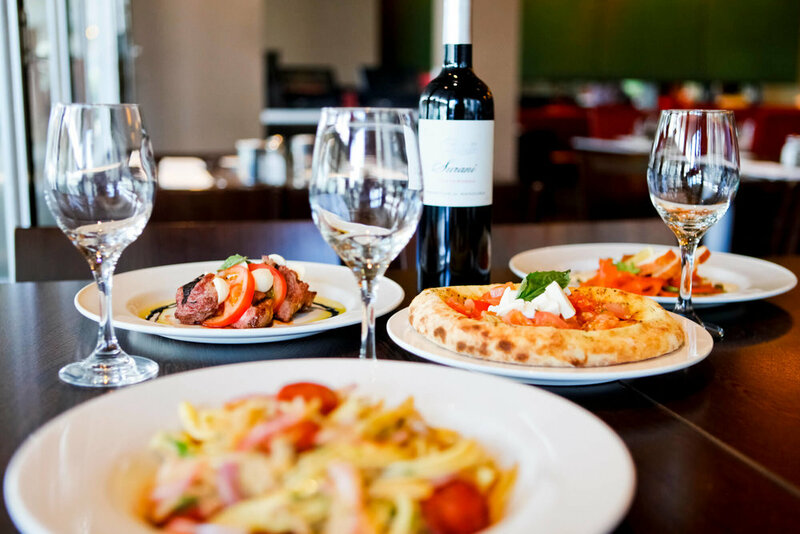 Renzo’s serves the very best authentic Italian cuisine with the warmth and hospitality Italy is renowned for. Feast on handmade pasta, velvety risotto, expertly cooked fish and meat dishes, and tasty wood-fired pizzas. Our drinks list includes local and Italian wines, beers, ciders, liqueurs and cocktails. Join us for an express lunch or long midday banquet, a family dinner complemented by our extensive kids menus, or just a drink overlooking the harbour. You’ll find plenty of specials on throughout the week, including our Tuesday Pizza Nights and daily aperitivo happy hours. You can also enjoy our delicious woodfired pizza at home through our pizza delivery service. As a long-standing establishment in the Docklands area, we offer local residents a 10% discount on their takeaway meal. If you’re looking for corporate venue hire or an engagement party venue in Docklands, you’ve come to the right place. You can also hire our space for birthday parties, Christmas and New Year’s Eve celebrations, and more. We offer catering for corporate and cocktail functions filled with our favourite Italian dishes, as well as an extensive drinks list complete with vini italiani and cocktails. You can also take advantage of our complimentary services including an in-house audio system, white linen table cloths, and much more. Our function rooms are very versatile and can be adapted to suit your needs and event capacity. Renzo's Bar can seat 190 people, but can also cater to up to 300 people for a stand-up cocktail party. 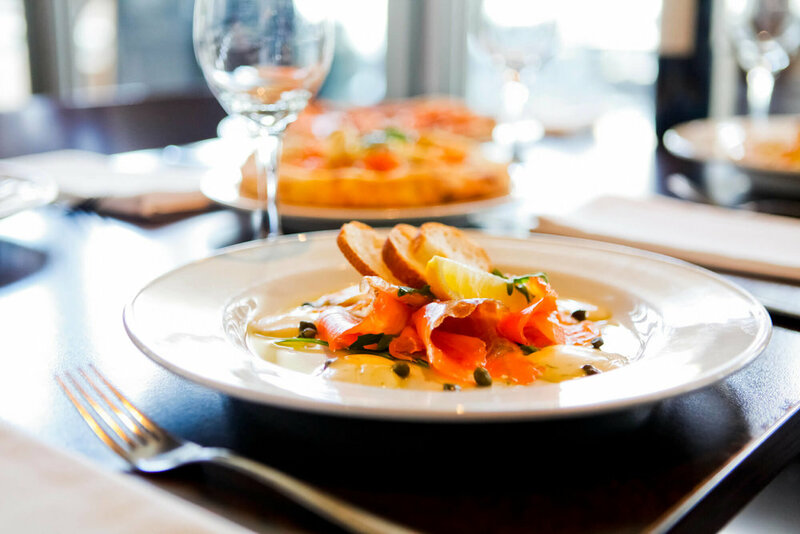 Dine on some of Melbourne’s most authentic Italian dishes. Call us on (03) 9640 0550 or make a booking online to secure your next event or gathering with family and friends! Click here to see our Lord Mayor's Commendation!